Vanadium is a trace metal found in certain foods and beverages including water (in very small amounts). Vanadium is also sold in dietary supplement form. Although it's thought that humans may need small quantities of vanadium for certain biological functions, scientists have yet to determine whether vanadium should be considered an essential nutrient. In addition, some proponents of alternative medicine claim that vanadium can treat hangovers, enhance exercise performance, and prevent cancer. Preliminary research suggests that vanadate (a vanadium compound) may help improve the body's metabolism of blood sugar, also known as "glucose." Additionally, some preliminary studies indicate that vanadate and other vanadium compounds may promote the movement of glucose into cells (where glucose is broken down and used for energy). So far, very few clinical trials have tested the use of vanadium in the treatment of diabetes. However, one of the few human-based studies found that vanadyl sulfate (a form of vanadium) had some beneficial effects on patients with type 2 diabetes. Vanadium shows promise for cancer treatment, according to a 2002 report published in Critical Reviews in Oncology/Hematology. For instance, laboratory studies on human cells demonstrate that vanadium may help promote apoptosis—a type of programmed cell death involved in stopping the spread of cancer cells. There's also some evidence that vanadium may help suppress the growth of cancerous tumors, according to the report. Since there is currently a lack of clinical trials on vanadium's effectiveness against cancer, it's too soon to recommend vanadium for cancer treatment or cancer prevention. Tests on animals and human cells indicate that vanadium compounds may help promote osteogenesis, a process in which bone-forming cells lay down new bone material, according to a 2006 report published in the Canadian Journal of Physiology and Pharmacology. However, clinical data on the use of vanadium for prevention or treatment of bone disorders are currently lacking. Little is known about the safety of taking vanadium regularly. However, there's some evidence that vanadium may be harmful to people with certain health conditions—including disorders of the blood, respiratory system, and immune system. In addition, some research suggests that excessive consumption of vanadium may cause damage to the liver and/or kidneys. Given these safety concerns, it's important to seek medical advice if you're considering the use of vanadium. Use of vanadium may trigger several side effects, including stomach pain, diarrhea, nausea, and vomiting. In other cases, the product may be contaminated with other substances such as metals. Also, the safety of supplements in pregnant women, nursing mothers, children, and those with medical conditions or who are taking medications has not been established. There is not enough scientific evidence to establish a recommended dose of vanadium. However, according to health sources, a dose of less than 1.8 mg per day is likely safe for adults. Higher doses taken for a long period of time may not be safe and increases the risk of side effects. The appropriate dose for you may depend on several factors including your age, gender, and medical history. Speak to your healthcare provider to get personalized advice. 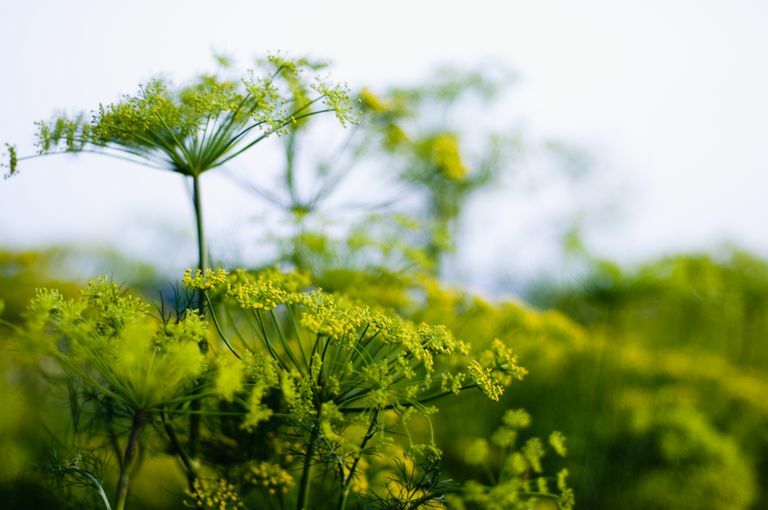 Dill seeds and black pepper are the two top food sources of vanadium. Vanadium can also be found in whole grains, seafood, meats, and dairy products. Available for purchase online, vanadium supplements are also sold in many natural-food stores and in stores specializing in dietary supplements. The supplement is often sold in capsule form and may be combined with other herbal supplements. Due to the limited research, it's too soon to recommend vanadium as a treatment for any condition. If you're considering the use of vanadium for a chronic condition, make sure to consult your physician first. Self-treating a condition with vanadium and avoiding or delaying standard care may have serious consequences. Additionally, use best practices when purchasing supplements in order to protect your health. The National Institutes of Health (NIH) recommends that you look for a Supplement Facts label on the product that you buy. The label provides information about what is in each serving of the supplement including the amount of active ingredients per serving, and other added ingredients. Barceloux DG. "Vanadium." J Toxicol Clin Toxicol. 1999;37(2):265-78. Barrio DA, Etcheverry SB. "Potential use of vanadium compounds in therapeutics." Curr Med Chem. 2010;17(31):3632-42. Barrio DA, Etcheverry SB. "Vanadium and bone development: putative signaling pathways." Can J Physiol Pharmacol. 2006 Jul;84(7):677-86. Evangelou AM. "Vanadium in cancer treatment." Crit Rev Oncol Hematol. 2002 Jun;42(3):249-65.